You walk into your bedroom with great purpose, intending to bring something back downstairs with you. Yet when you arrive there, you’ve completely forgotten what it was. You bump into someone in the street, and you -know- you’ve met them before, but at this very moment, you just can’t place them. You were supposed to pick something up for your spouse on the way home from work, but you completely forgot, and so when you arrive home empty-handed, you are greeted with considerable frustration and disappointment. Naturally, you’re concerned. Is this normal, or are you having an early encounter with that perennial bogeyman of old age – dementia? According to the World Health Organization, the number of people living with dementia is expected to triple over the next 30 years, growing from 50 million to 152 million by the year 2050. The numbers are staggering, the personal implications are frightening. We’d all prefer not to be counted among that group. According to Lisa Mosconi, Assistant Professor of Neuroscience in Neurology at NYU, and Associate Director of the Alzheimer’s Prevention Clinic at Weill Cornell Medical College, there’s plenty we can do to prevent that. The onset of dementia used to be considered largely genetic, and also a virtually unavoidable part of old age, but Mosconi says her research proves this isn’t true. Less than 1% of the population will develop dementia as a result of genes. For the rest of us, the health and resilience of our brain depends on our lifestyle, and that is well within our control. In her new book, Brain Food: The Surprising Science of Eating for Cognitive Power, Mosconi provides a very helpful list of the most important diet and lifestyle changes we can make to ensure our brain stays as young and healthy as possible. First and foremost, drink water, plenty of water! The brain is 80% water, so even a very mild dehydration can cause neurological issues, such as fatigue, brain fog, headaches, mood swings. If you use an MRI to look at the brains of people who don’t drink enough water, they are clearly aging faster, with thinner tissues, and reduced volume. Aloe water is better than plain water because it also contains over 200 active compounds that increase hydration. Secondly, eat fish. Any kind of fish. According to Mosconi, people who eat a portion of fish twice a week have a 40-70% lowered risk of developing dementia as they age, compared with people who eat no fish at all. It’s likely the polyunsaturated fats in fish that are most helpful for brain functioning, as the brain really craves them. However, fish are also a good source of choline, which is required in the manufacture of important neurotransmitters. As soon as you eat polyunsaturated fats, such as fish, nuts, or seeds, they are sent directly to your brain to ensure it gets its share. Your body gets the leftovers. Thirdly, berries. Berries are packed with anti-oxidants, anti-inflammatory components, and other nutrients that help to keep your brain sharp as you age. Importantly, they are also an excellent source of fibre-rich glucose. And glucose your brain’s only source of energy. This doesn’t mean you should start loading up on cakes or cookies for their sugar content. Your brain specifically wants glucose, and the processed sugar in these kinds of pastries requires conversion to glucose within your own body, which causes it a lot of stress. Most of these sugars will just end up packed in your abdomen as fat. The best sources of natural, brain-ready glucose are beetroot, kiwi fruit, whole grains, sweet potatoes, onions and spring onions, and, of course, berries. Fourthly, exercise regularly. Studies have shown that when you exercise, nutrients and oxygen can get into your brain better, providing it with the nutrients it needs to function optimally. Exercise also stimulates the release of chemicals that are mentally and emotionally beneficial, and help to keep you free from depression. The most beneficial emotion for your brain is love, so try to surround yourself with people who make you feel loved and appreciated. Finally, sleep well. Just like the rest of your body, your brain gets rid of waste while you sleep. When you regularly have poor sleep, toxins can accumulate in your brain and creating neuron-damaging inflammation. This inflammation can also accumulate from a Western diet high in processed foods, fried foods, and fast foods, so these should be avoided too. As much as possible, try to eat fresh, minimally processed foods. Foods are particularly nutritious when they’re eaten whole, and contain more vastly more nutrients than you would get from a supplement. They’re also cheaper. So, please try to avoid relying on pills or powders to get the nutrients you need. The cells in our brain are particularly hungry, requiring more than 20% of our energy haul. Additionally, we keep them for life. 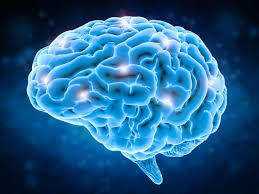 Unlike cells in the rest of our body which are continually replaced, brain cells are built to last our entire lifespan. This means that our brain needs extra care and nourishment to protect it from the onslaught of living. Luckily, scientists like Lisa Mosconi are here to help. Through their continued research, they have provided us with the tools we need to keep our brains functioning as optimally as possible. Now, we just have to follow it.